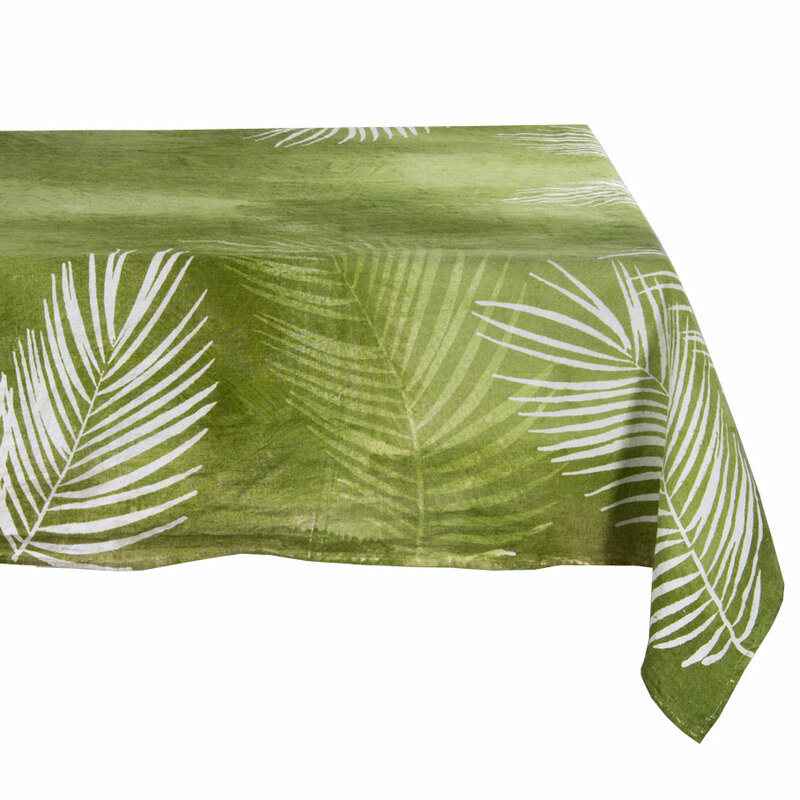 Prepare to be wowed by the AllÓRA hand-painted palm tablecloth collection. 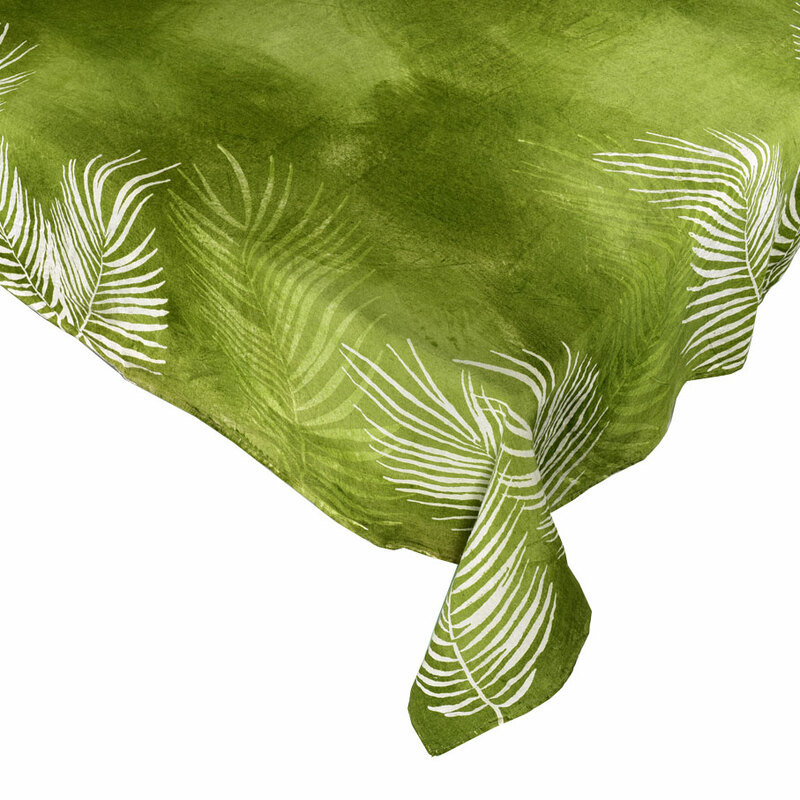 Each one is uniquely different, being carefully created from hand-stitched linen and inspired by all things tropical. 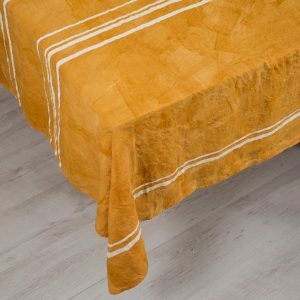 Beginning with a linen cloth woven on traditional looms, the colour palette used is ravishing, being rich and moody and suggestive of rich green rainforest leaves, ruby maroons, warm yellows and blues that evoke feelings of clear cool lagoons and restful sandy beaches. This is artistry at its best, a true amalgamation of everything tropical and Italian. 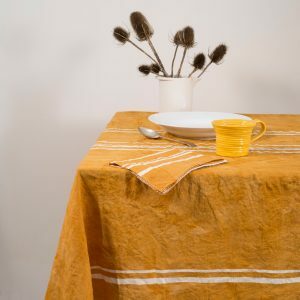 The colour spectrum used and applied to the quality linen by hand-painting is lush and deep, taking the tropical colour range and transforming it into a masterpiece that is the AllÓRA palm tablecloth. 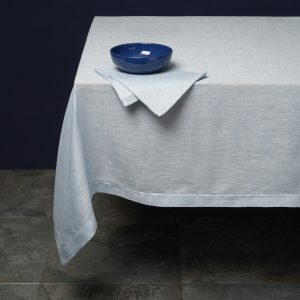 With a design focused on shady palm leaves, the deep colours come into their own with subtle shading created by the sweeps of the paintbrush adding a liveliness to the colour that cannot be created in any other way. 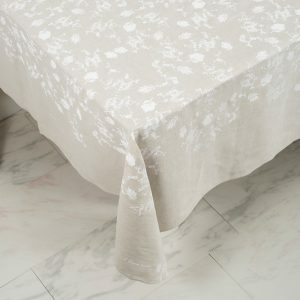 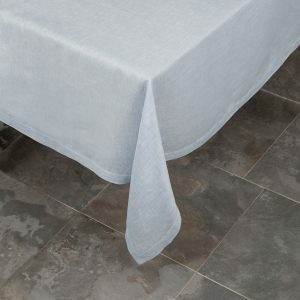 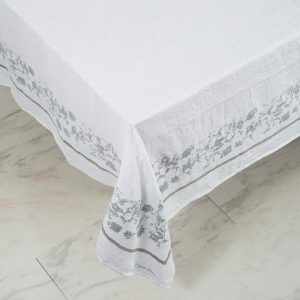 As the palm leaves curl around the corners and edges of the cloth, they create an immensely tranquil and calming setting, perfectly suited to adorn any type of dining table. 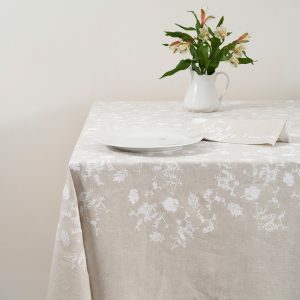 Think traditional Italian meets colourful tropical and you have just a hint of the delightful moody vibe that comes from this truly artisan Italian tablecloth that will add the finishing touch to any dining experience, whether spending time with guests at a formal dinner party or lying in the grass and eating lunch of hand-painted linen cloth. 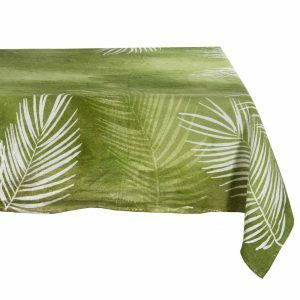 Treat yourself to something really special and add one of our hand-painted palm tablecloths to your home; a perfect delight for all who use it. 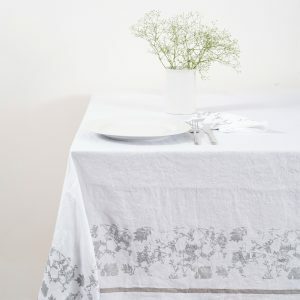 Perfect as a gift or simply to brighten up your dining room or kitchen.